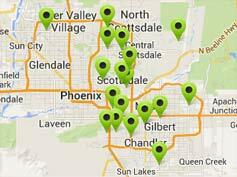 Categories: Garden Care, Plant Food. 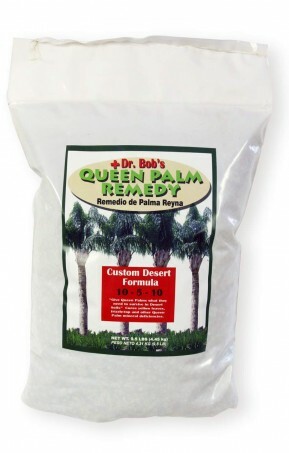 Dr. Bob’s Queen Palm Remedy provides nourishment and minerals that Queen Palms, need such as Manganese which is not found in the soils of the Southwest and is an essential nutrient for the growth of Queen Palms. 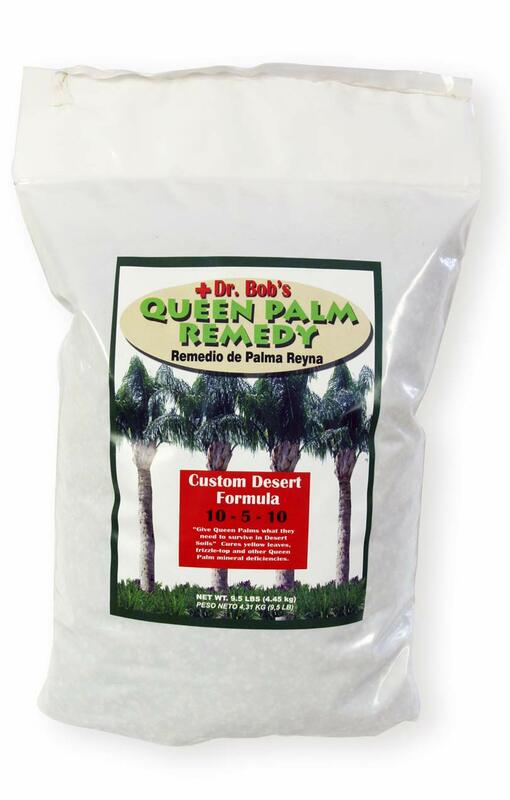 Cures yellow leaves, frizzle-top and other Queen Palm mineral deficiencies.